If you scoot down, you will see my palettes standing in between the drawers and my lipstick organizer. I currently have the UD original, Becca x Jaclyn Hill Face Collection, Hourglass Ambient Lighting Edit, and my 2016 MAC Holiday Collection Nutcracker Sweet Warm Eye Compact. I use one of them every day, great investments. 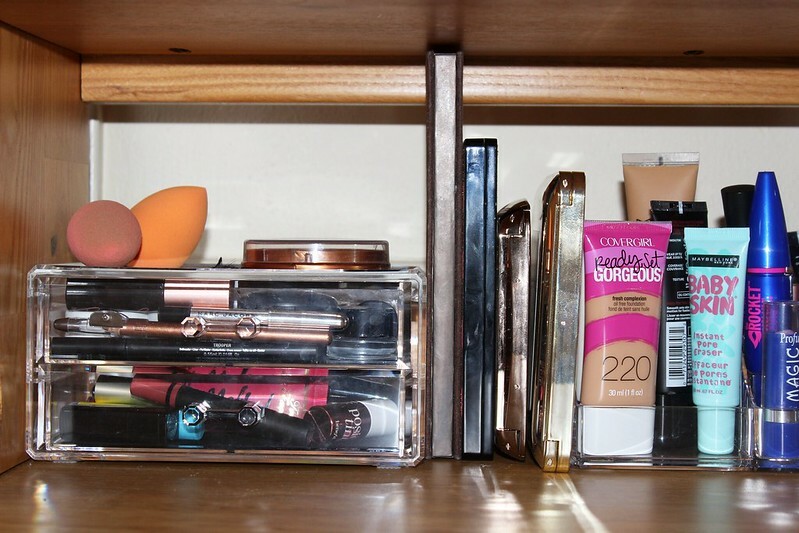 Moving on to my lipstick/misc organizer, I house a lot things. I mean A LOT. 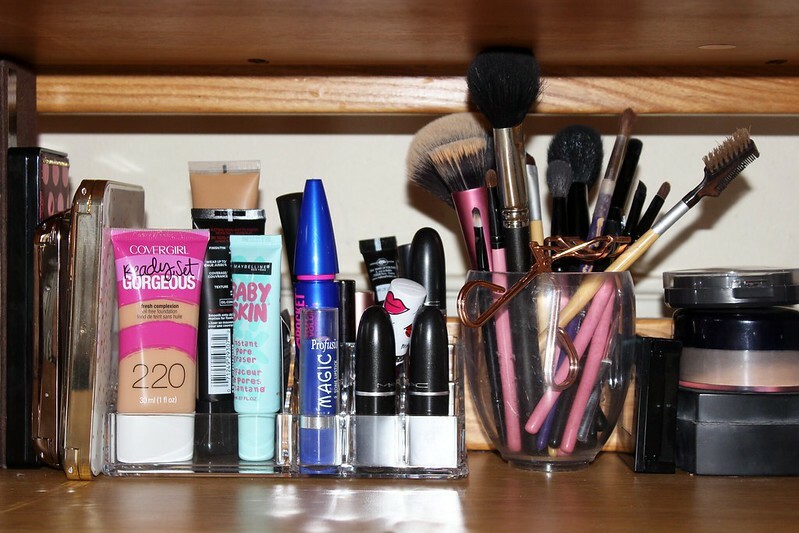 I have my foundations, primers, and a pan concealer sitting towards the left. 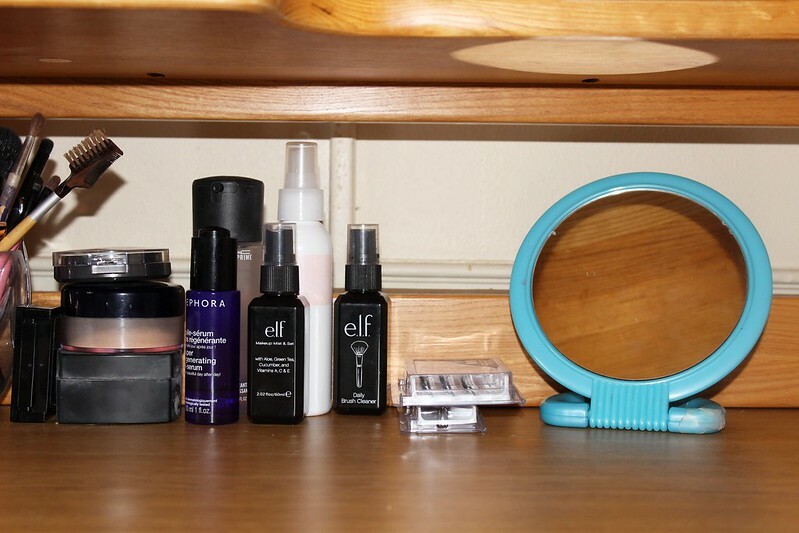 Then to the back-right: I have my mascaras, highlighting concealer, and color correcting concealer. Towards the front-right: I have two MAC lipsticks, one MAC Retro Liquid Lipstick, one henna lipstick, and a Clinique lipstick. Then I have a cup that is full with brushes and an eyelash curler. 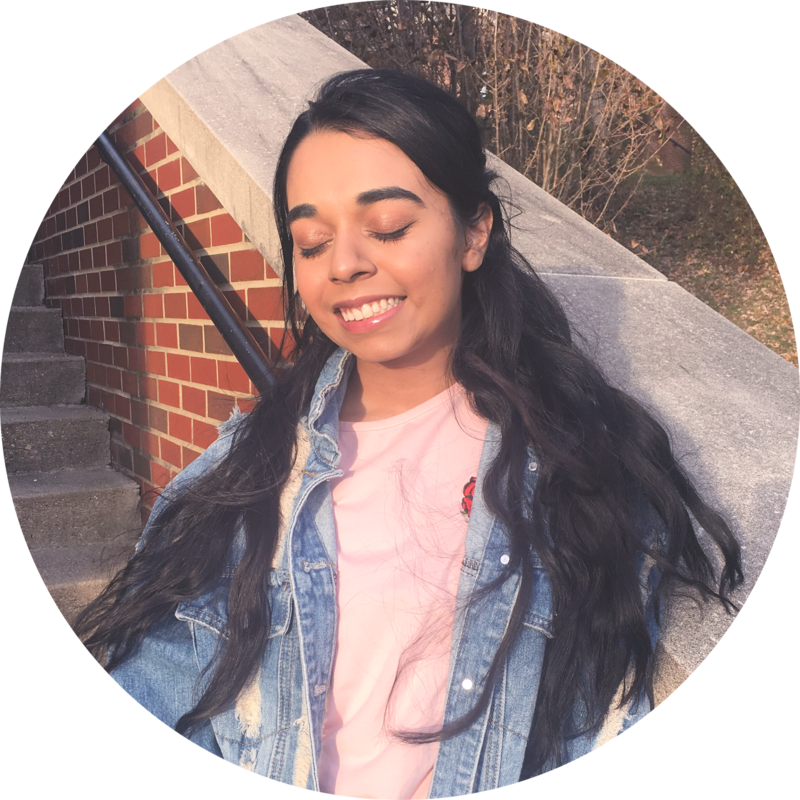 Real Techniques, MAC, and ELF to name a few. The eyelash curler from Tweezerman. If you made it to the end, you will see a bunch of random things. To the left, there is a stack of powders, then we see face sprays, a face oil, a daily brush cleaner, a stack of lashes, and finally my mirror. It seems like a lot of things, but your girl gotta be prepared. 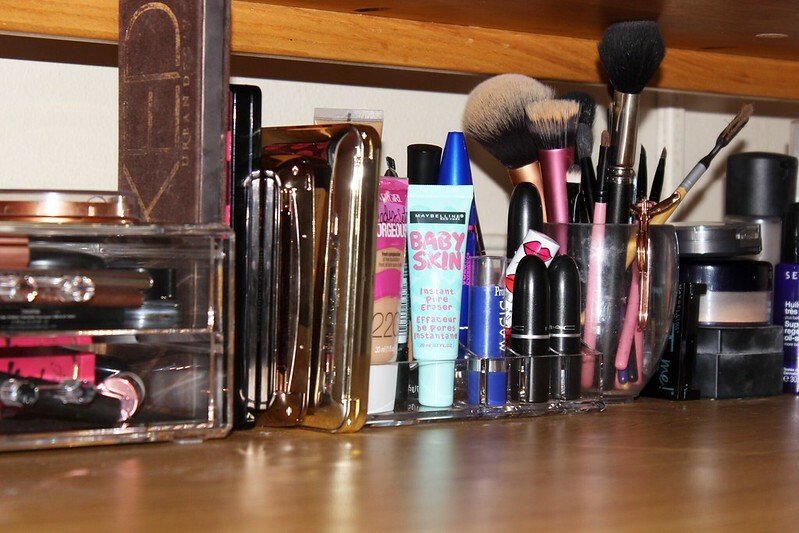 Tell me in the comments how you store/stored your makeup products in college or how you store them right now.